Virgin Radio wanted the most enormous promotion involving the most enormous build in the most enormous street in central London. 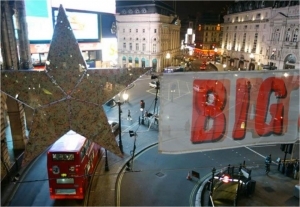 The Big Star was born – actually a 20′ star filled with money and suspended above London’s traffic in Regent Street with the illuminations of Piccadilly Circus as its backdrop. How big is that! Rowleys:London got straight to work and within 3 weeks had designed and built this huge acrylic star capable of being stuffed full of money and the Big Star promotion was launched. Through the night 30 burly men guarded the money as cherry pickers, security men, police and crew stopped the whole of Regent Street and Piccadilly as the Big Star was hoisted 40′ off the ground and positioned in all its splendor to the waiting crowds. 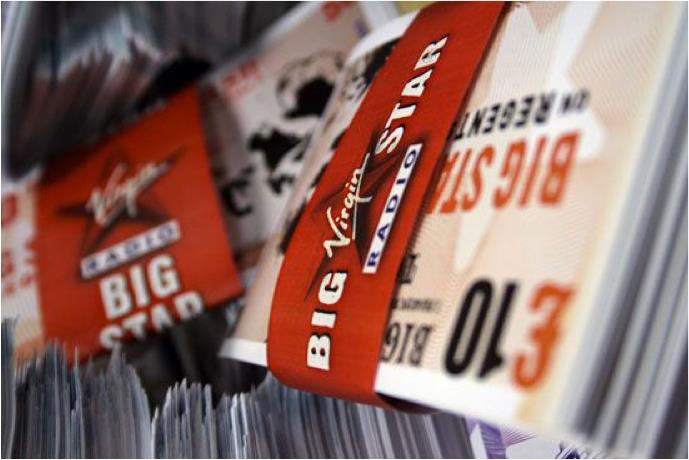 The rest is history – Phil from Iver Heath guessed the amount of money in the Big Star on the 10th October and won it! 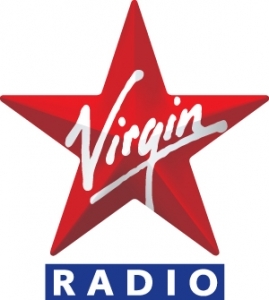 To continue our relationship, when Virgin became Absolute Radio, we were privileged to do the launch of the rebrand.